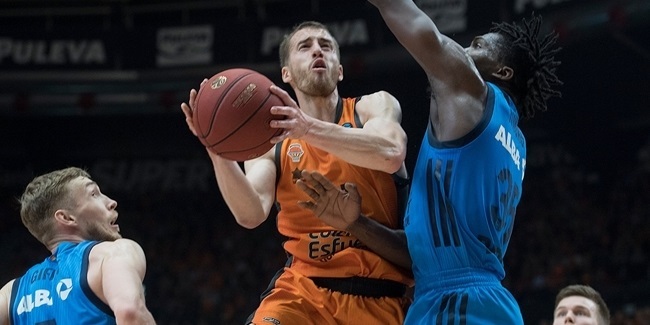 By winning 89-63, Valencia set the record for the largest margin of victory in a EuroCup Finals game. 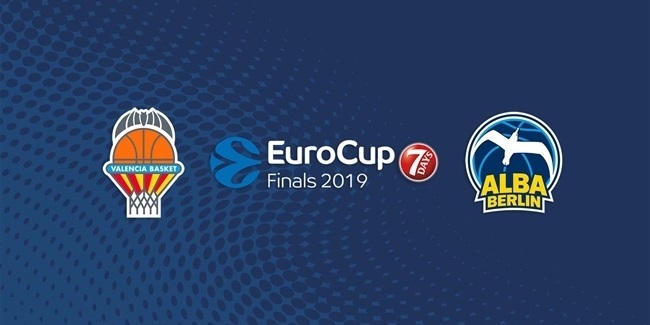 The previous record was 25, which was first set when DKV Joventut Badalona routed Akasvayu Girona 54-79 in the 2008 ULEB Cup Championship Game and matched by Khimki Moscow Region with its 66-91 thrashing of Herbalife Gran Canaria in Game 1 of the 2015 finals. The winning team's performance index rating of 116 is a new EuroCup Finals record. Valencia improved its PIR from Game 1 by 2 for the new record. Prior to this season, the highest PIR in a EuroCup championship game or finals series was 105 set by Darussafaka Istanbul last season. Valencia made 13 three-pointers in the game, which was 1 off tying its EuroCup record for the finals from Game 2. Its series total of 36 triples is the most by any team in the EuroCup Finals. By dishing 25 assists and committing only 10 turnovers, Valencia completed the season with a record assist-to-turnover ratio of 1.765, besting Rytas Vilnius's 1.736 from 2013-14. Point guard Antione Diot tied the record for most steals in a EuroCup Finals game with 4. He joined Jamie Arnold, Nikolay Padius, Lubos Barton, Thomas Kelati and Justin Doellman in a select group of players to collect 4 steals in the championship game or series to decide the season's ultimate winners. 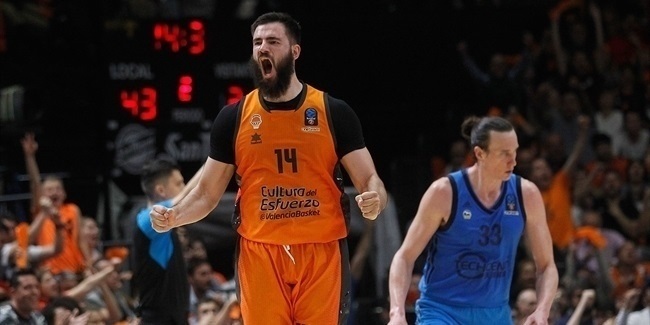 Valencia will move on to the Turkish Airlines EuroLeague for the 2019-20 season, but the way it finished this season leaves a mark that it will be difficult for any team to match any time soon.